Colonial style lodge with gorgeous rooms, each with their own theme. Large, plantation-like property. Michelin-level dining and home-made food with care and pride. Lovely, friendly, staff. The Raiatea Lodge is located on the northwest coast of Raiatea, facing the nearby island of Bora Bora. 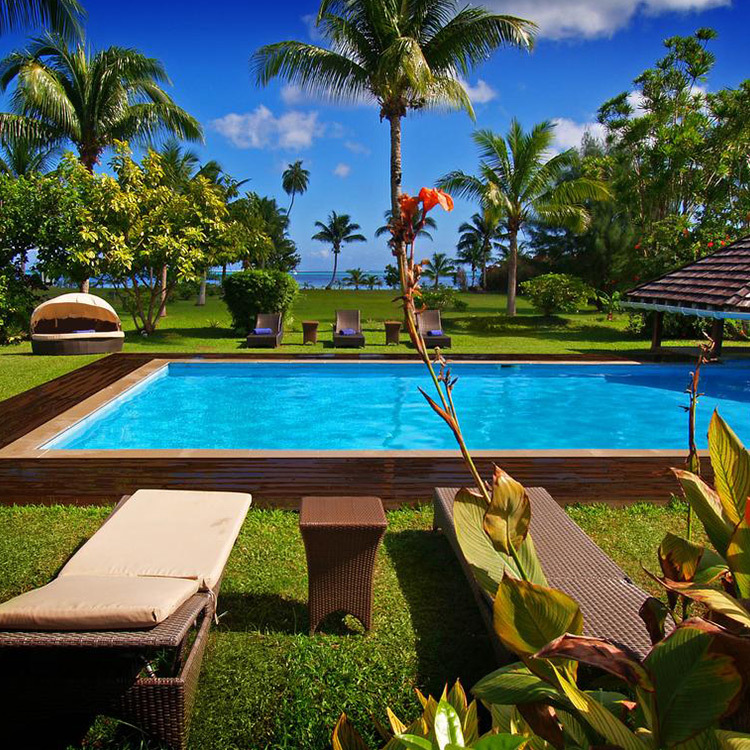 This quaint hotel is only five minutes from the airport and ten minutes from the main village of Uturoa, serving as the ideal home base from which to explore both Raiatea and Taha’a. Reminiscent of an old colonial plantation, it covers two acres of tropical gardens and features a large swimming pool amidst the foliage, creating an inviting locale for lounging and relaxation. Each standard and superior room at the Raiatea Lodge Hotel is spacious and comfortable with a private terrace overlooking the garden and the lagoon. The hotel’s poolside restaurant, Tama’a Maitai, prepares delicious French and Tahitian cuisine using only the freshest local ingredients. The hotel offers a range of activities and excursions. You can even kayak across the lagoon to the small island of Miri Miri and enjoy white sand beaches, vibrant coral gardens and a view of Raiatea from the distance.